You interview for a job–for a position you always wanted to have. You have done everything right to this point. You sent them a great job application, and you prepared for the interview questions. You planned your way to the interview, and you armed yourself with the knowledge about the company. You did your research. You believe in your chances, and you are ready to succeed. But what should you take with you on a big day? 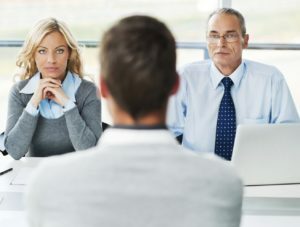 Speaking from my experience with interviewing people for jobs ranging from administrative level to top management, I can honestly tell you that many people will bring only their resume to the interview. Or they will bring nothing at all. They rely on the interviewers, thinking that they’d print and bring the documents. Most people won’t bring anything. But most people will fail. You should try to do more, you should think outside of the box. Interviewers will always appreciate the “do-more attitude”. Let’s have a look at these things one by one. The hiring managers can read your resume in an interview, but also afterwards, when making a final decision about your job application. Some people from the company will not even talk to you in person (think decision makers and executives, such as CEO, CTO, CFO), and your resume and a simple interview report from HR managers are the only things they will see. Bearing this in mind, you should bring the most recent resume to your interview, and you should even leave them a copy. Do the same with the cover letter–especially if you have written a good one. Sites like Consumers Advocate can help you find a good resume builder if your writing skills need some work. Work portfolio, sometimes also colloquially called interview portfolio, or career portfolio, is a presentations of your best works and projects you have worked on. It can be presented in a form of pictures, videos, and short sequences of text. Your portfolio helps the interviewers to visualize the things you have done before. It helps them to understand why it makes sense to have you in their team. What is more, less than five percent of job seekers have a work portfolio, so it can be a huge advantage to bring one, especially if you interview for a technical job, or for any senior position. Anyway, even a cook, or a construction worker, can benefit from a good work portfolio. Learn how to make a great one in our article dedicated to this topic. Everyone can claim that their former bosses were extremely pleased with their work. But are they telling the truth, or are they just making things up? Unless you have something to prove your words, most interviewers will doubt such claims. They will not believe you. Once you bring written references from your past employers, and include contact numbers, your words will get a new dimension. Suddenly they can see it on a paper. They can see that someone said something nice about you, and they even have an option to call that person! Many job applicants leave the most important things at home–an honest smile, a good mood, and a healthy level of self-confidence. You should make sure that it is a pleasure to talk to you, that the interviewers will enjoy their time with you. You should do your best to create a good atmosphere in the room. And you should believe in your chances. Nothing of that will happen without a smile, a good mood, and your self-belief. After all, the most important things are not things :). Ready to bring everything important with you? Continue your preparation with InterviewPenguin.com – Your best job interview coach since 2011. Interview Success Package – Brilliant answers to thirty most common interview questions, and a guide on how to win the hearts of your interviewers. Become a pro in interview for a job in less than three hours! Interview attire tips – Not sure what to wear to your job interview? Inspire yourself with some special tips from InterviewPenguin.com.